Where to find beautiful nature, kind people, delicious food, great study opportunities and of course… enjoy a lot of football? 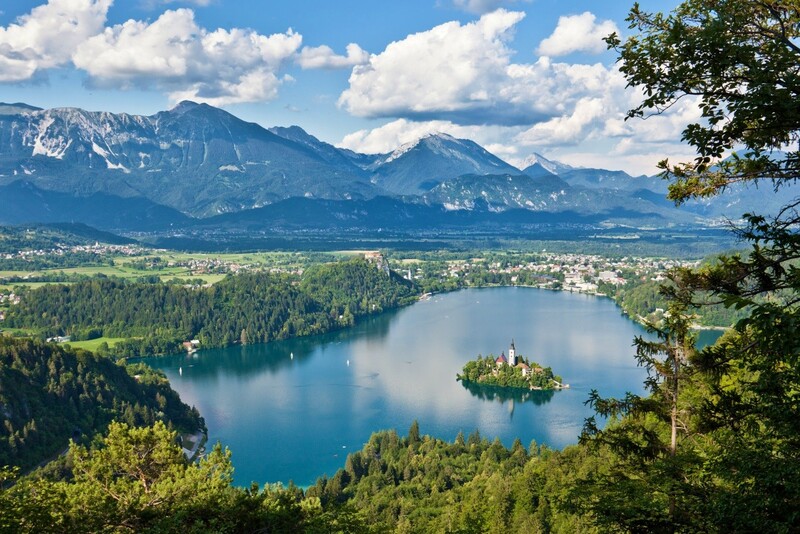 Slovenia lies in the heart of Europe, where the Alps meet the Mediterranean and the Pannonia Plain meets the Karst. Its geographic location along Europe’s virtual centerline sees the country linking East and West and that is what makes it so strategically well-positioned. 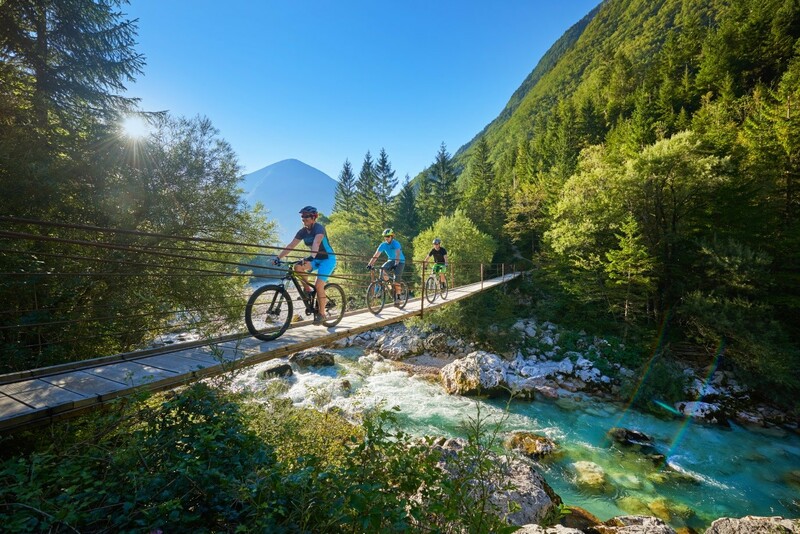 As a beautiful and picturesque country, Slovenia makes a great tourist destination. Mountains, lakes, waterfalls, forests, caves, hills, plains, rivers and the sea – you name it, you can find it all within the country’s modest 20,273 km2, as well as many natural and landscape parks (see Figures 1 and 2). You can ski in the morning and surrender yourself to the luxury of the Adriatic Sea in the afternoon. Situated between the Alps and the Adriatic Sea, the city of Ljubljana is classified as a mid-sized European city, but it has preserved its small-town friendliness and relaxed atmosphere while providing all the facilities of a modern capital. The city’s character is marked by two widely differing and yet complementary features: Ljubljana is famed for its historical heritage and tradition while being a relatively young city with a modern lifestyle (see Figure 3). It is the political and cultural heart of the Slovenian nation, safe and particularly charming in summer. Distances between places in Slovenia are short, which makes Ljubljana a perfect base for exploring Slovenia’s diverse beauty. Why not combine your visit with a great study experience? 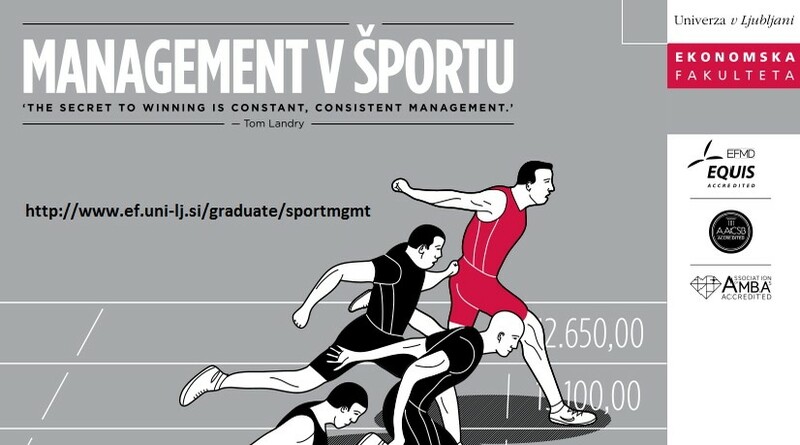 The Sport Management program at the Faculty of Economics, University of Ljubljana, is a great fit to everyone who loves sports and enjoys its business side as well. 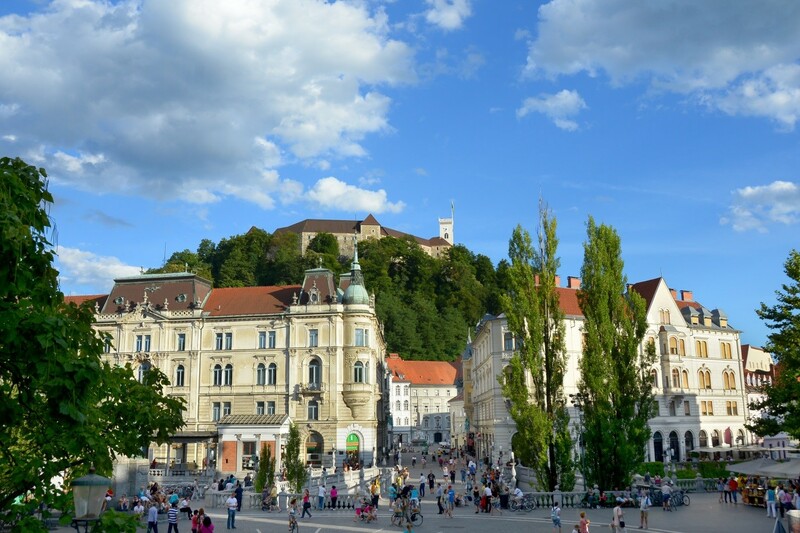 CONSIDER STUDYING SPORT MANAGEMENT AT ONE OF THE TOP 1% OF BUSINESS AND ECONOMIC SCHOOLS IN THE WORLD – THE FACULTY OF ECONOMICS, UNIVERSITY OF LJUBLJANA, SLOVENIA! What are the biggest problems of management in sports organizations and how to deal with them? How to provide sources of financing for sports organizations? How to properly market sports products and services? In which direction is the development of international sport going? How are sports and sports organizations organized? Which are the characteristics of voluntary work in sports? You will acquire basic knowledge and skills to successfully coordinate and manage your team/colleagues and be able to achieve the goals you set for yourself inside your sports organization. You will receive the right knowledge to develop into a successful and socially responsible leader. You will gain the ability to diagnose problems and make decisions using advanced managerial approaches. You will gain competencies for effective performance in managerial roles and processes in organizations, with an emphasis on mastering contemporary economic, social, environmental and ethical challenges. Through innovative forms of work, you will develop a knowledge base for a comprehensive understanding of demanding managerial problems in practice. You will be able to solve complex issues within the sports organization and in its environment. The Faculty of Economics, University of Ljubljana (“FELU”) was established in 1946 and is today the biggest higher education and research institution in the field of business and economics in Slovenia with the largest center for executive education within a university setting. It is the only school in the wider region to have been awarded the EQUIS, AACSB and AMBA international accreditations, thereby joining the elite group of Triple Crown schools. The FELU provides education at all levels (undergraduate, graduate, doctoral, executive and lifelong learning) and in most key areas of specialization. And almost all of them are aimed at an international audience and offered also in English. The FELU strives to become a world-renowned institution for the quality of its academic programs and achievements in education and research. The FELU offers an international study environment with cross-cultural learning experiences and partnerships with institutions from all around the world and offers full-time study programs in English and programs with courses in both English and Slovene. Since business and economics are such diverse fields of study, the FELU offers a selection of specialized courses to suit your interests. The FELU is a member of the University of Ljubljana, which is the oldest and largest higher education and scientific research institution in Slovenia. Established in 1919, it comprises 23 faculties and 3 art academies. It is renowned for the quality of its social and natural sciences and technical study programs, structured in line with the Bologna Declaration. It has more than 40,000 undergraduate and postgraduate students and employs approximately 5,600 higher education professors, researchers, assistants and administrative staff. The central building, all three academies and faculties are located in the center. Some of the most recent and modern buildings were constructed on the outskirts of Ljubljana, giving the university and its students a ubiquitous presence in the city. The FELU’s campus is located in the northern part of Ljubljana and easily accessible by public transport, car or bicycle. The main campus facilities are well equipped, maintained and also adjusted to suit the needs of people with disabilities. All teaching halls and classrooms are fitted with multimedia equipment, students are provided with free access to computer equipment, and free Wi-Fi. The FELU premises include a modern library (Central Economics Library), restaurant lounge and coffee bar, a photocopying service, a bookshop, study corners, computer rooms and two art galleries. The physical facilities (auditoriums, classrooms, breakout rooms, social spaces etc.) fully support the particular pedagogical approach taken in each program and provide a good learning environment. SO WHEN YOU ARE THINKING ABOUT TRAVELING AND/OR STUDYING ABROAD, CONSIDER VISITING SLOVENIA. THIS MIGHT SOUND A BIT CHEESY, BUT IT TRULY IS A MAGICAL WONDERLAND WITH BREATH-TAKING VIEWS AT EVERY CORNER. WELCOME!